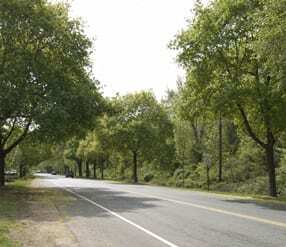 “On July 19th, West Windsor Township became the second municipality in New Jersey, after Montclair, to adopt a Complete Streets Policy. In addition, Monmouth County became the first county in the state to adopt a Complete Streets Policy as the Board of Chosen Freeholders passed Resolution 10-592 at their meeting on July 22nd. The WWBPA thanks all our members for their support and encourages friends to become members and swell the ranks. 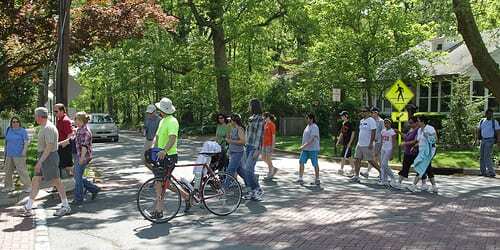 Our thanks as well to the West Windsor Council and administration for supporting Complete Streets. 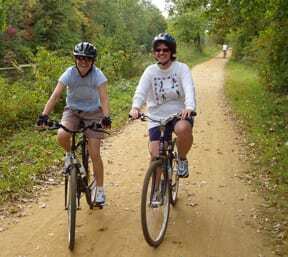 Learn to ride a bicycle July 24, 31, or August 7. 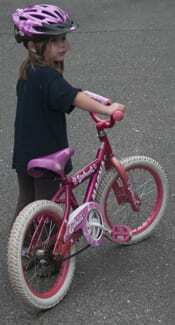 Is your child at that age at which he or she wants to ride a two-wheeler? Is your back sore from bending over to balance your child on a rolling bicycle? Have YOU been wanting to ride but never had a chance to learn? If so, this class is for you. 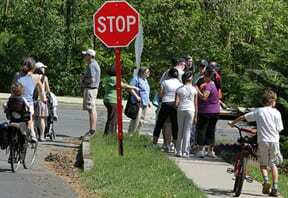 Bike&Walk Montclair and Diamond Cycle will hold workshops to teach children and adults to ride. The workshop teaches a safe, easy, effective way to learn to ride. Using the “balance first” method, instructors help get you rolling on your own. Click here for location and more information. A number of police departments in New Jersey are going undercover to enforce a law requiring that motorists stop for pedestrians in a crosswalk, not merely yield to them. Pedestrians account for nearly a quarter of traffic fatalities each year in New Jersey, well above the national average. 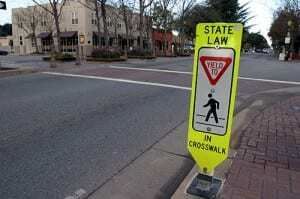 These efforts are about making motorists more aware of pedestrians. Violators of the law can be fined $200 plus court costs and get two points on their driving record. New Brunswick is one of 13 communities taking part in “Cops in Crosswalks.” Collingswood is another. These departments have been given grants to fund the program. Read more here. Read the official announcement from the New Jersey Department of Law & Public Safety. 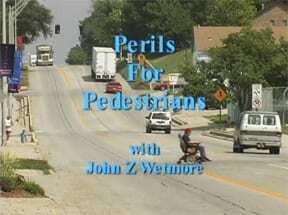 The program aims to educate both motorists and pedestrians about their responsibilities. Complete Streets policies have been adopted by the U.S. and New Jersey governments, but West Windsor is one of the first New Jersey municipalities to do so. The WWBPA believes that designing streets with ALL users in mind from the start will save money because we won’t have to do costly retrofits and will make our community more liveable — which benefits all of us (and our property values). 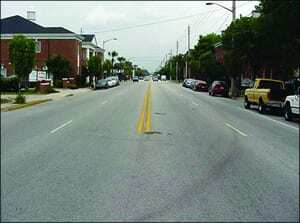 What do Complete Streets look like? Watch this animation to see the transformation of a fairly barren multiple-lane road becomes a bustling shopping area. This summer the police in Manville, a borough in Somerset County, are issuing tickets–not just for traffic violations. They’re stopping children wearing helmets while riding bikes and giving them ice cream tickets. The recipients may redeem the tickets for a free ice cream cone at a local ice cream shop. Read more in an article from the Manville News. That’s a nice way to encourage kids to follow New Jersey’s law (children under 17 must wear helmets while riding bicycles). 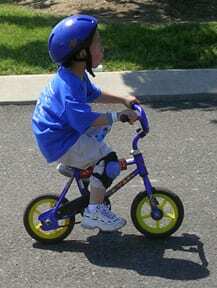 We’d like to encourage everyone, regardless of age, to wear helmets when riding bicycles. 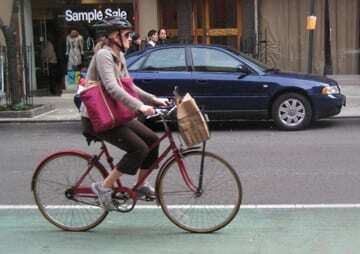 “In 2008, 716 [20 in New Jersey] pedalcyclists were killed and an additional 52,000 were injured in traffic crashes. Pedalcyclist deaths accounted for 2 percent of all traffic fatalities, and pedalcyclists made up 2 percent of all the people injured in traffic crashes during the year. go to the WWBPA page Ride Smart Ride Safe. Did you know that the U.S. Bicycle Route 1, between Virginia and North Carolina, and Route 76, through Virginia, Kentucky and Illinois, opened in 1982? 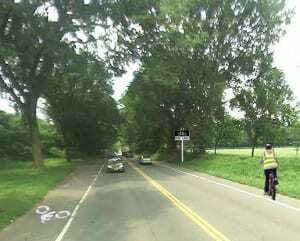 The WWBPA has written to local and county officials urging that the shoulders on Washington Road between Route 1 in West Windsor and Faculty Road in Princeton be marked as bike lanes. 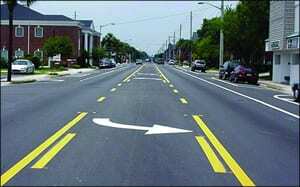 After the repaving work is done, the shoulders will be wide enough — so what are we waiting for? 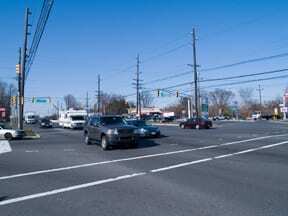 And why not create bike lanes on Washington Road on the other side of Route 1? 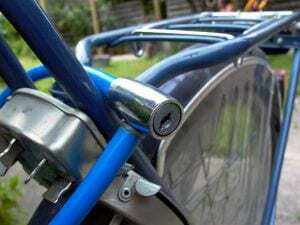 This would be a big safety improvement for cyclists commuting to the Princeton Junction train station or to jobs in Princeton, as well as for recreational cyclists. Do you agree? Let officials know!